Is your iPhone beyond repair by the corner screen repairer? Have you been told to replace your phone? Not covered under a standard warranty? Then this might be just the thing to save your precious device and move towards micro soldering. Whether it’s an iPhone, Samsung or even the good old HTC! Micro soldering is a stage 3 repair that will need precision tools and a steady hand, its where your main board in the phone has a damaged ic chip that will cause different issues. One of the most common problems that will need soldering is your charger port’s like on the Samsung S3,S6,s7 sony charger ports and HTC. They often get damaged when cable’s are forced in sometimes upside down, maybe some dust or corrosion has gotten into the port or maybe you had few to many, well that could be a story on its own but lets not go there. Stage 3 Microsolder repairs are a fairly complex procedure that we do on a day to day basis at A One mobiles & Repairs. 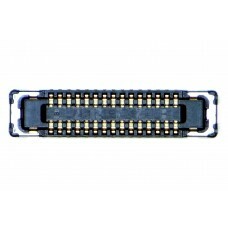 Another very common repair that we do is a broken FPC (Flexible Printed Circuit) connector. When this little man has been left short of his little legs, all sorts of issues can arise. They quite often get damaged when screens are fitted by home repairers or even the more experienced screen technicians. Again this will need to be repaired under a microscope, using some precision tools. The broken FPC will need to be removed then the tracks on the board nicely tinned and cleaned ready for the new one to go on. Now we get to the serious stuff! 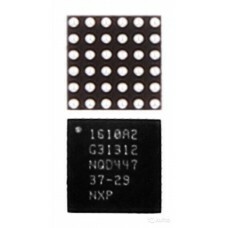 like IC (Integrated Circuit) chips. There are many of them on the main board and they can cause different issues. One main culprit we at A One Mobiles & Repairs in Geelong see fairly regularly is a damaged or destroyed Tristar also called the U2 Chip (part of the system that governs voltage regulation from the charger assembly), this can get damaged or even out right destroyed by using non-genuine chargers or cables, cheap or damaged car chargers and power banks or the charger port itself being corroded or water damaged among many other causes. A One tech’s would first check to see if this is the case for your particular device, symptoms include a phone not cominicating correctly, your device not connecting to a computer or laptop, sometimes your battery will lose charge quickly or turn off unexpectedly it can even cause your device to overheat, this little chip can do it all and the frustration is very real! A One Mobiles & Repairs is Geelong’s oldest dedicated mobile repair service, owned and operated by me, Bill Salih, I’ve been working on mobile devices for most of my life and running a successful business doing just that here at A One Mobiles for 18+ years, I oversee every repair that comes into A One.